The Belgian singer has been announced early in 2015 by the broadcaster RTBF (Wallonia). The 19-years-old singer Loïc Nottet has been chosen as Belgian representative for the Eurovision Song Contest in Vienna. 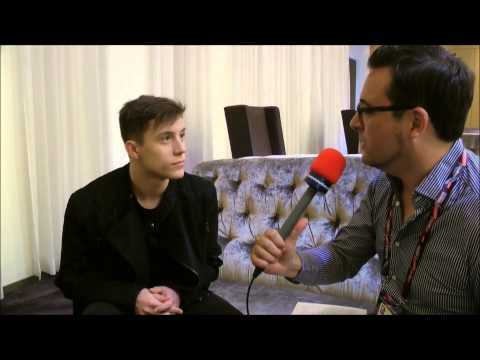 Loïc Nottet was born in Courcelles, Belgium (close to Charleroi) in 1996. In the age of 17 he participated in “The Voice Belgique” and came second. He surprised the jury with the song “Diamonds” from Rihanna. In the blind auditions the jury thought hearing a female voice. He enjoyed a huge popularity in Belgium by now as he is not only a good singer, he also composes and dances – an entertainer from head to toes. His father wanted him to become a football player, but Loïc insisted becoming a singer. He signed a record contract with Sony. The song “Rhythm Inside” has a very international appeal, as it’s sung in English and the style of the song is very up to date. The composer wanted to produce a piece of music which does not sound like Eurovision. Loïc himself has been responsible for the choreography and stage visuals in Vienna. Judging by the video clip the view to the detail has been taken care of. The light, the sound and the atmosphere of the songs immediately transfers to the viewer. If Loïc could transport this on stage, this would be an extraordinary Belgian entry which good qualification chances for the Grand Final. Belgium is participating for the 58th time in the Eurovision Song Contest this year. Due to the fact the Belgium has two languages and regions Flanders and Wallonia the Belgian representative is coming alternately each year. In former years the French songs from Wallonia have been more successful but in the last decades the Flemish entries made the best results. The only Belgian winner was Sandra Kim in 1986 with “J’aime La Vie”. Over all these years there have many good places in the top 10, the closest to win again was “Sanomi” by Urban Trad in 2003 (2nd), furthermore “L'amour ça Fait Chanter La Vie” by Jean Vallée in 1978 (2nd) and recently “Me and my guitar” by Tom Dice in 2010 (6th). Roberto Bellarosa made a 12th place with “Love Kills” in the Grand Final in Malmö 2013. Due to the introduction of the Semi Finals in 2004 some countries are struggling to qualify for the Grand Final. Belgium is one of the countries which had some difficulties lately, only three times Belgium could qualify in the last eleven years. It has also to be taken into consideration that the competition has grown over the years. The Eastern European countries are making the half of the participating countries nowadays, so therefore some well-established countries have to make the way for the new countries. The positive thing about it is that it forces the composers to bring higher quality songs into the competition; there is less place for weak songs. Last year “Mother” by Alex Hirsoux could not pass the Semi Final.